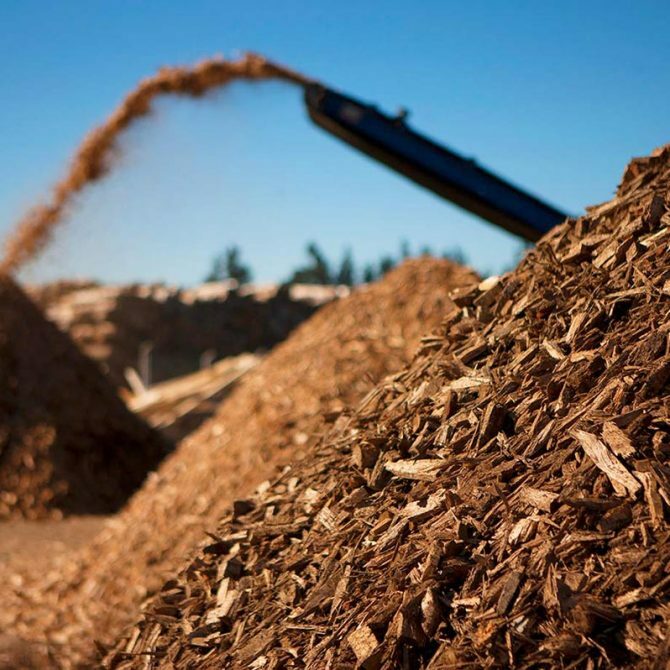 How can Crook County benefit from Biomass? On October 19, 2018, the Ochoco Forest Restoration Collaborative (OFRC) hosted a Biomass Summit in Prineville, OR. The summit presented an opportunity to learn from examples of successful biomass utilization, explore what types of utilization may be viable in Crook County and better understand any existing barriers. Additionally, the OFRC hopes to highlight any potential next steps that interested parties in Crook County can take to support biomass utilization efforts in the area. The event was completely sold out, with more than 100 people in attendance for the one day Summit at the Central Oregon Community College Campus in Prineville. Gathering together 16 speakers from all over the western states, the Summit featured four panels with different focus areas: Success Stories and Lessons Learned, Supply and Scale, Emerging Technologies, and Policy and Financial Incentives. This page offers a summary of the rich content of each panel, along with information regarding upcoming events and regional utilization projects. Wallowa Resources Community Solutions, Inc.
For 20 years, Wallowa Resources has worked to enhance opportunities on forests and grasslands while caring for the land and water for future generations. They focus on collective land management and rural development in Wallowa County. Matt is always looking for ways to bring new energy projects to fruition, for the benefit of the community and the environment. As the renewable energy program advisor for Wallowa Resources, he’s been intimately involved in launching and coordinating WR’s various biomass utilization projects. He splits his time between the Pacific Northwest and East Africa, where he manages community development and agriculture projects. Brian is ODF’s Stewardship Forester for the Dalles Unit. He holds an A.A.S in Wildland Fire Science and a B.S. in Forest Management from Oregon State University. His 18-year career with ODF includes a decade managing the fire program in Fossil and Veneta, where he also assisted the Private Forestry program. As stewardship Forester, he provides technical assistance in forest management to private landowners, administers the Forest Practices Act and Fire Prevention Laws, and assists with wildland fire protection. As the primary contact for private land-owners, Brian relishes the opportunity to reinforce positive attitudes about forest resources. Nick Johnson is acting Executive Director of the Lake County Resources Initiative (LCRI). LCRI’s projects promote prosperous, resilient, and thriving rural economies through the use of renew-able energy, mitigating climate disruption, promoting the sustainable use of natural resources, encouraging innovative forest management practices, supporting local business, and facilitating collaboration. As a non-profit organization, LCRI works with the public, government organizations, other non-profits, colleges/universities, community leaders, and industry to obtain common goals. Nick has a degree from Oregon State University renewable materials and a minor in business entrepreneurship. Before joining LCRI, he worked as a quality engineer in secondary wood manufacturing. Tim has a doctorate in Rangeland Ecology and more than 30 years of experience in natural resource management. His research focused on monitoring water relationships under managed and unmanaged areas of juniper encroachment in Central Oregon. Recently retired from OSU Extension, Tim will be starting his new position with Crook County in fall 2018. As Natural Resource Manager, Tim will be partnering with federal agencies and exploring possibilities to develop new partnerships. His focus areas include: responsible use of natural resources, access to public lands, economic development, health and sustainability of public lands, natural resources education and awareness, and preservation of cultural interests. In 2012, Norm became one of the four founding members of the Wind River Biomass Utility LLC. He grew up in New Hampshire, graduated from the University of New Hampshire after which he began his career with the U.S. Forest Service. Norm retired from the US Forest Service in 2009 and during the course of his 32 years with the Forest Service, he became a licensed land surveyor in Oregon and Washington, serving as Assistant Forest Land Surveyor for the Zoned Forest Boundary Management Program for National Forests and Scenic Area in the states of Washington and Oregon, doing extensive fieldwork throughout the Pacific Northwest, parts of Alaska and the White Mountains National Forest. Throughout his 27-year career with the Forest Service, Kevin has worked on the Malheur, Wallowa-Whitman, Deschutes, and Ochoco national forests. In his current role as Natural Re-sources lead, Kevin works in project planning, habitat improvement and restoration, and wildlife habitat inventory/monitoring. On three separate occasions, Kevin has served as a District Ranger in Central Oregon. 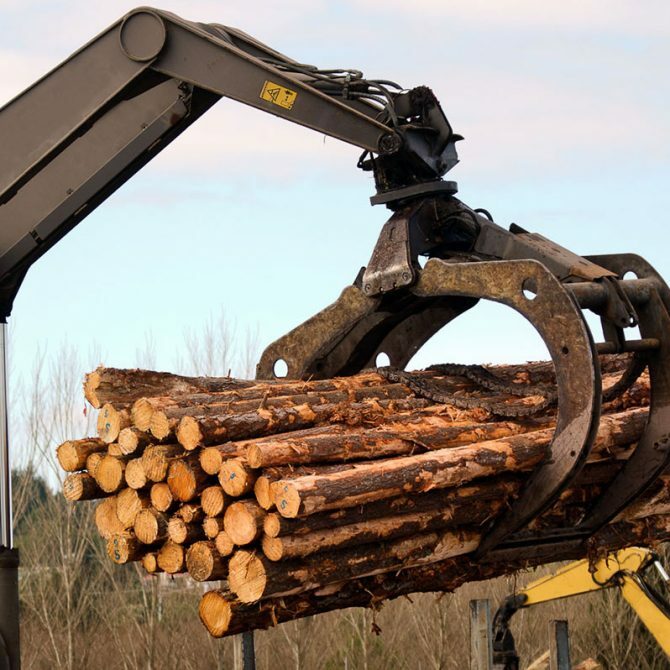 Ochoco Lumber takes pride in being good stewards of the land, placing a strong emphasis on exceptional land and resource management practices implemented through long-term objectives. As President, Bruce oversees operations of Ochoco Lumber’s sawmill, biomass facility, timberlands land development projects, and trading companies. He also a member of the Federal Forest Working Group, Oregon Forest and Industries Council, Wood Products Association, and Oregon Business Council. For several years, he has worked to advance biomass projects in the Blue Mountain Region and has guided the development of a torrefaction plant in John Day, Oregon. Wisewood is one of the nation’s leaders in biomass technology. They pioneered the concept that biomass can do more than provide heat, unlocking local resources, empowering communities, and creating healthier forests. Meagan leads Wisewood’s biomass projects through the preliminary engineering stage of development, helping to identify local and regional supply, fostering regional partnerships, and supporting policy work. She has a background in public forest collaboratives, industrial agroforestry, and non-industrial private forest management. Dylan is Sustainable Northwest’s bioenergy lead, working on biomass utilization and energy projects across the Northwest. He is responsible for state and federal legislative activity and agency engagement, representing SNW’s broad market and public policy priorities. Additionally, Dylan is coordinator of the Western Juniper Alliance, a 50 member partnership to accomplish rangeland restoration, produce sustainable wood products, and create jobs in juniper supply and market chains along the West Coast. He’s also an active member of the Oregon Forest Biomass Working Group, on the board of the Biomass Thermal Energy Council, and a steering committee member of the National Rural Assembly. Matt is the current Vice President of Special Projects for the US Endowment for Forestry and Communities and in this role also serves as the CEO for Oregon Torrefaction, LLC. He is a lead on the development of the torrefaction plant in John Day, OR. Throughout his esteemed career, Matt has focused on the critical nexus of renewable biomass energy development, forest health, and economic well-being of rural communities. In addition to his project work, Matt has served as a senior policy analyst and bioenergy lead for the Oregon Department of Energy, developing initiatives and policies to promote the development of renewable energy, alternative transportation fuels, and related industries in Oregon. As the former owner of a structural engineering firm in Asheville, NC, Ethan has worked on projects that range from small renovations and additions to a 470,000 square-foot, $125 million central schools for the Cherokee Nation. In his role with WoodWorks he serves as a wood products industry spokesperson and educator dedicated to growing the knowledge and use of structural wood products including Mast Timber in non-residential construction. In his primary role as Senior Technical Director, Ethan consults directly with design professionals to educate and successfully implement wood into their designs. Darren’s primary interest is helping private landowners make informed choices about how they manage their forest land. His master’s thesis, The Missing Fires video, created a widely distributed platform for educating the public about wildland fire ecology, endorsed by the National Park Service. Most recently, he has developed a new, mobile method of utilizing biomass for biochar production. Prior to joining USU Extension, Darren worked as a forestry consultant and wildland firefighter. Dave works with customers to develop custom renewable energy generation projects, with an emphasis on distributed bio-power and small-scale hydropower. In his career, Dave facilitated a Comprehensive Conservation and Management Plan for southwest Florida at a National Estuary Program, directed grassroots conservation campaigns for National Wildlife Federation in Texas and the Pacific Northwest, was a Special Agent for the Federal Bureau of Investigation, and developed utility-scale wind energy projects in the western United States. A Michigan native, he earned Masters Degrees in water resource management and natural resource policy from Indiana University’s School of Public and Environmental Affairs. Dave is a volunteer leader in the Oregon Council of Trout Unlimited and lives with his wife and two young boys in Southwest Portland. Marcus’ work at ODF focuses on realizing the promises of woody biomass for forest management, local employment, and the future of energy. 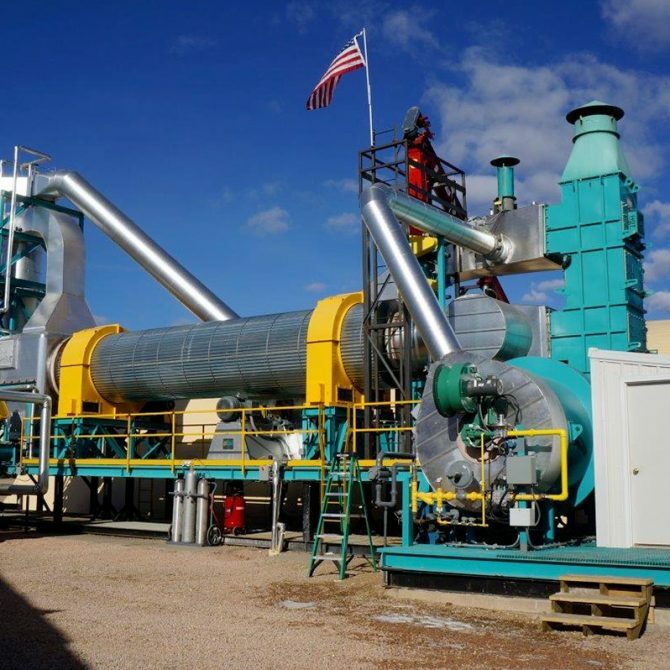 He specializes in bioenergy project development, feedstock analysis, feasibility studies, densified fuel manufacturing, and biomass heat applications. He provides direct technical assistance on biomass utilization and biomass supply to public and private interests across the state. He is also ODF’s lead on biomass education, outreach, and stewardship contracting. He holds a Masters of Community and Regional Planning, Rural Economic Development, from the University of Oregon. As Steve nears his 10-year anniversary as Prineville’s City Manager, he continues to explore avenues for economic development and responsible natural resource utilization. A crook county local, he graduated from Crook County High School, going on to earn a Bachelor of Business Administration from Oregon State University. For 15 years, he worked as a general manager in the forest products industry. In addition to serving as a guest panelist, Steve will be delivering the welcome address at the Summit, setting the local context for biomass opportunities in Crook County. David Smith joined the faculty of the Department of Wood Science and Engineering in the Forestry College at Oregon State University in 2008 after a long career in The forest products industry. He came to Oregon over 25 years ago by way of Washington and Montana to work for Willamette Industries as a technical manager in their engineered wood products group. Prior to joining OSU, David spent 12 years as a Process Specialist with Evergreen Engineering, a private consulting engineering firm headquartered in Eugene. One of David’s special areas of interest is the utilization of woody biomass for fuel to generate heat, power, and products. Although he formally retired in 2016, he still conducts research on biomass processing technologies and is particularly interested in the development of economical, processing techniques for converting logging slash or pre-commercial thinning into fuels and products. The City of Prineville has demand from these new data centers, but do they understand the connection between their energy and landscape restoration? What level of volume from the national forest in tons per year would be necessary to make a biomass campus viable? How many jobs could we anticipate from a biomass project in Crook County? How many employees do you currently have on site at your project(s)? What opportunities make the most sense for Crook County and why? 1) What are the heat loads? 2) What are the county’s power incentives? 3) Is there any new construction in the area? 5) What is the current supply? How do you compete with fossil fuels in thermal energy projects? Does the Forest Service have the capacity to add trees larger than 21 inches to timber sales? Can the Forest Service authorize the harvesting of burnt trees immediately after a fire? What kinds of concerns have you heard about supply and overharvesting among private landowners? What can you do to address these concerns? Torrefied wood compared to coal: which is hotter and longer lasting, and what are the associated costs? What is going on with the solar panel project in town? There is infrastructure in Prineville that could use biomass, so what would it take to get this going again? Led by Washington State University, the Northwest Advanced Renewables Alliance (NARA) is focused on providing a wide range of research and analyses for a developing industry that converts forest residuals into bio-jet fuel and other co-products. NARA is an alliance of public universities, government laboratories and private industry in the Pacific Northwest region that provides technologies, resources, and analyses for stakeholders interested in using forest residuals from logging operations as feedstock to create a sustainable industry that produces biobased alternatives to petroleum-based products such as aviation biofuels and important co-products. Oregon State University’s College of Forestry and Extension Service teamed up to create the Oregon Wood Innovation Center (OWIC). 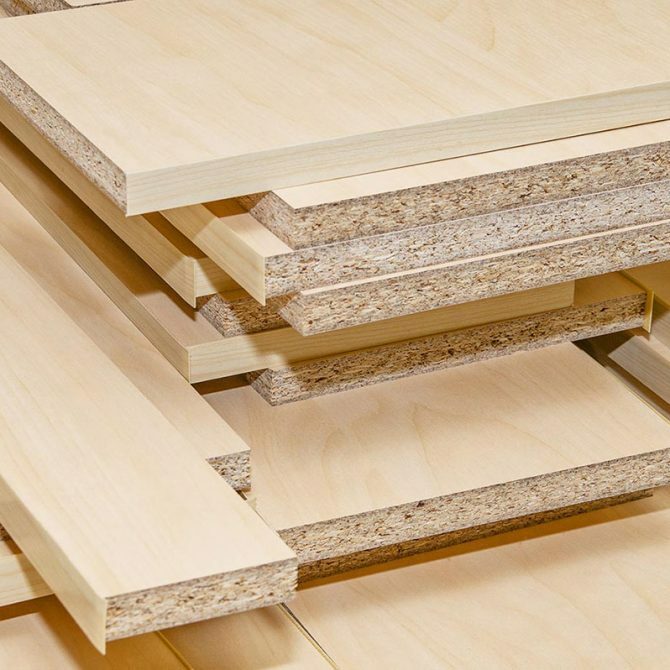 OWIC’s mission is to improve the competitiveness of Oregon’s wood products industry by fostering innovation in products, processes, and business systems. A key function of the Center is to serve as the primary link between university research and needs and opportunities in the forest industry. The team’s primary objective is to build a pipeline of commercially viable biomass end users and connect those projects to capital construction funding. In addition, to start up resources, the team partners with local communities to raise the social acceptance of biomass energy. For example, they assisted Southern Oregon University to help the public understand the environmental and carbon benefits of their proposed biomass heating system.